Our monthly Newsletter is stocked with a ton of great sales. Plus, we’ll send you the latest news on the Cooperative and early access to new sales and discounts. 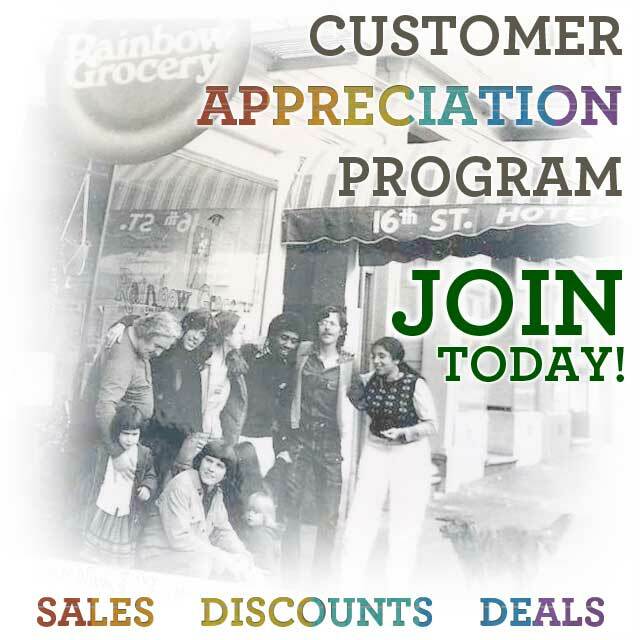 Sign me up for the Rainbow Grocery Email List to get notified about news, discounts and sales!